This composition for Piano, Vocal & Guitar (Right-Hand Melody) includes 3 page(s). 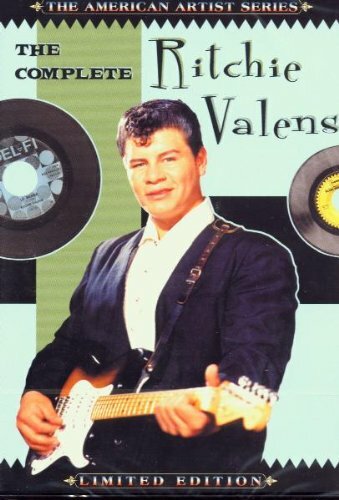 It is performed by Ritchie Valens. The style of the score is 'World'. Catalog SKU number of the notation is 18891. 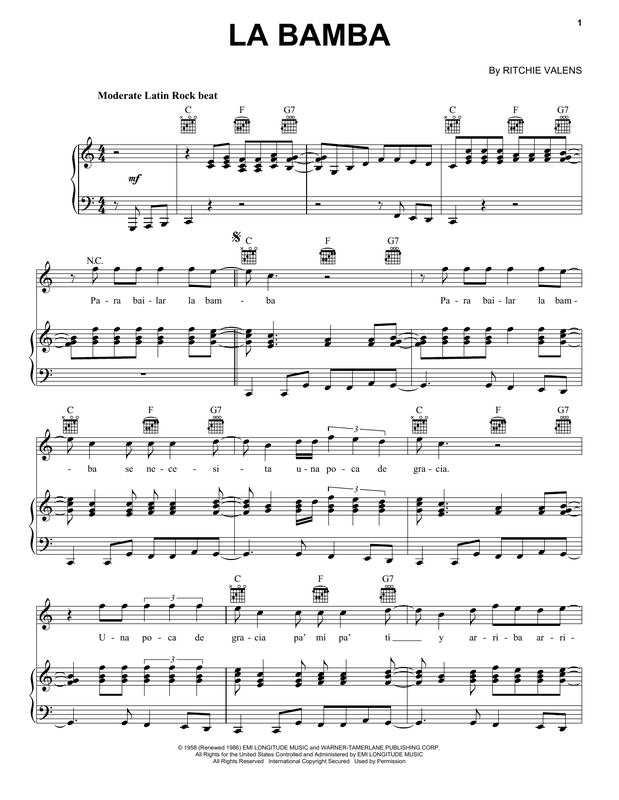 This score was originally published in the key of C. Authors/composers of this song: By RITCHIE VALENS. This score was first released on Thursday 1st January, 1970 and was last updated on Thursday 1st January, 1970. The arrangement code for the composition is . Minimum required purchase quantity for these notes is 1. Please check if transposition is possible before your complete your purchase.